"My aim in making photos is to capture and accentuate the beauty in what surrounds me. Photography to me is a mode of visual problem solving and a way to perpetuate the stoke, whether it be above the surface or below." 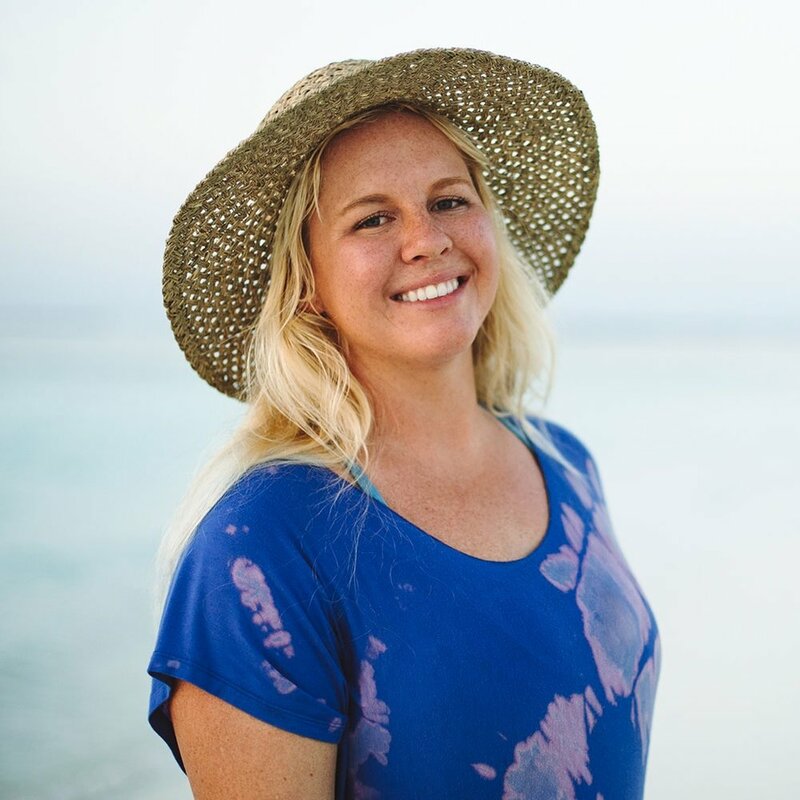 Born and raised on the Big Island of Hawaii, Sarah grew up as a long-distance competitive swimmer, water polo player and an avid surfer. She bought her first camera at age 15, and quickly became as attached to her viewfinder as she was to the sea. Photographic artistry also came naturally, and she was quickly hired to capture people’s most precious moments. While Sarah snapped her first few photos on land, as soon as she went beneath the surface of the ocean, her talent for photography and ease at working in some of the most difficult environments catapulted the demand for her work. In the last decade, Sarah’s photos have appeared on the home page National Geographic, Instagram, CNN, and in magazines from Cosmopolitan to the covers of Standup Paddle Magazine and Standup Journal. She’s also appeared in magazines like Marie Claire who featured a behind-the-scenes look into her fashion shoot for an Italian designer. Her images have a distinct style that’s also recognized on social media where she has tens of thousands of followers. Over the years, Sarah has been fortunate to work with incredible adventurers, including documenting one of the first people on the Discovery Channel’s hit series Naked and Afraid, Alison Teal of Alison’s Adventures. She has also provided photos for brands ranging from Pelican and Axxe wetsuits to the mega retailer H&M, who have all hired and licensed Sarah’s photography to promote their brands and campaigns. While Sarah’s Hawaii roots give her a light­hearted and care-free attitude making her a joy to work with, her uncanny ability to keep things casual while magnifying the best in what surrounds her are evident in everything she shoots. Brands, magazines, professional athletes and adventurers take up most of Sarah’s camera time, yet she still carves time to shoot everyday people doing what they love for a variety of occasions from surfing to non-commercial portrait sessions. Currently splitting time between Kailua-Kona, Hawaii and the quaint beach town of Encinitas in North County San Diego, California, Sarah can usually be found attached to her swim fins or her viewfinder. She plans to keep adding to her professional work of all kinds, with an emphasis and special love for the water as well as capturing stories of passionate people and brands around the globe.